It’s the hot topic on everyone’s lips at the moment. Whether you agree or not with the system, the government or the choice of prime minister, you can’t escape the general election. 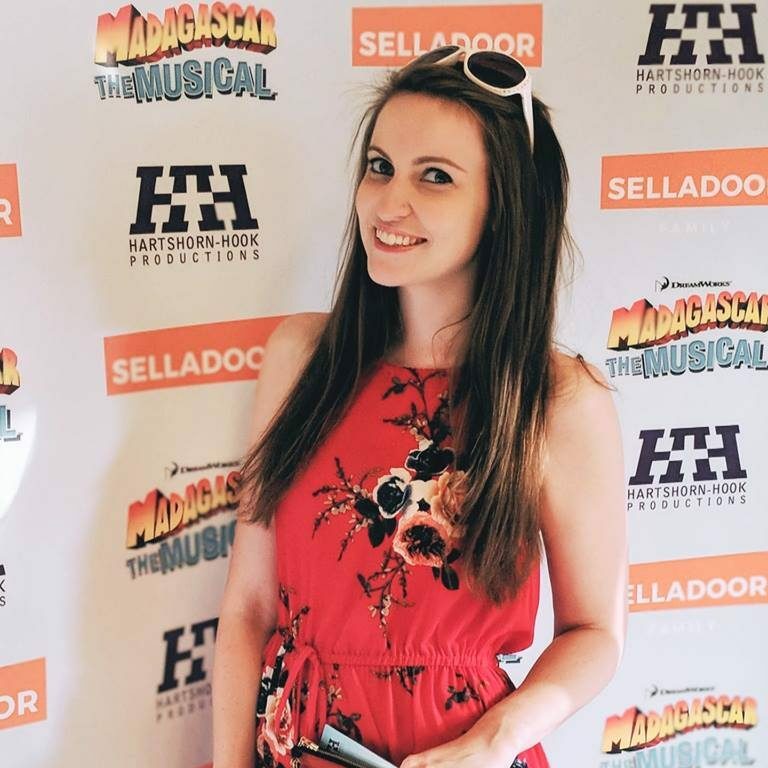 I however decided to revel in the occasion by going to see Vote for Me at the London Theatre Workshop with a bunch of lovely #LDNTheatreBloggers, all thanks to Rebecca Felgate and Official Theatre of course! 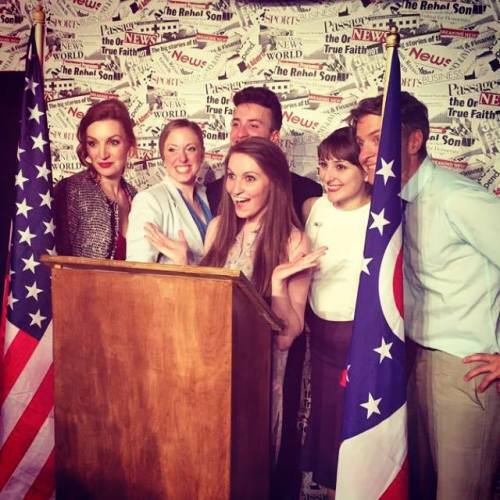 With free wine, doughnuts and a fun post-show Q&A it was without doubt one of the better ways to celebrate election day! I liked the comedy in this show although I was expecting it to be a little bit more ‘laugh out loud’. The songs and concept echoed Avenue Q (no doubt thanks to Robyn Goodman who commissioned it) with a political twist which I really enjoyed. The songs were catchy, funny and incredibly well-performed considering the restrictions of a smaller venue. I must applaud the director Dom for taking a risk and throwing in props, tap breaks and all sorts to bring the show into it’s own. It was also amusing to find out in the Q&A session that many of the cast were slightly bemused when asked to bring their tap shoes to the first rehearsal! I have been to the London Theatre Workshop before (see my previous blogs for Songs in the Shower) and love the venue. It’s a really interesting, intimate space which worked perfectly for this show which was based on the US elections and television debates. Like the real debates, it gave the sense that you were watching the candidates in your living room. The pleas to voters were direct and personal, especially from my front row seat! It’s hard to pick out individual people from such a strong, small cast. You can’t fault a single voice, there was a lot of strong vocals throughout the show. They worked really well together, especially with some particularly complicated choreography involving flags and face masks! I have to highlight one hero of the piece though which is Lucy Grainger who pulls off one heck of a song which is no easy feat for the memory. I won’t ruin it for you but if you do go along you’ll know exactly which song I’m talking about. Apparently she didn’t learn the rest of the script until the week before as she was so focused on this one song! 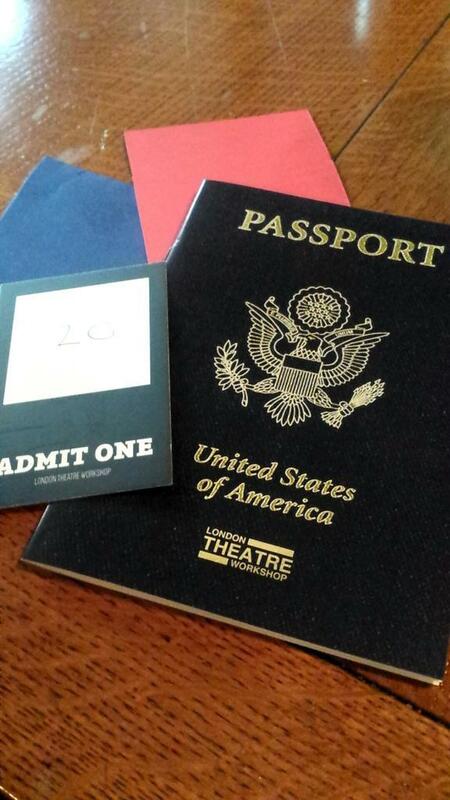 I appreciated the little things too, such as the cute passport programme. What is also brilliant about the show is that you don’t get the same ending each night. YOU, the audience, get to vote for the election winner and the ending depends on who is declared President! It really reflects the calibre of the cast that they seamlessly glide into whichever ending is chosen without the audience realising. I was slightly disappointed not to see my chosen ending that night but hey – that’s democracy for you! You may be sick of election talk by now but this is an election like no other. 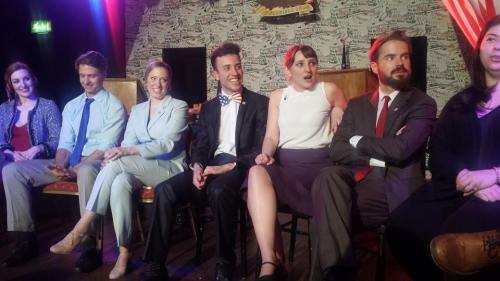 Catchy songs, a strong cast and pure political hilarity! Make sure you catch it before it goes and then we can all laugh away electoral politics and dramas for another five years!